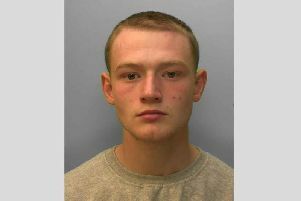 Police are appealing for information following a range of crimes in the Chichester area this week. Read more: Can you help police solve these crimes across Chichester? / Can you help police solve these seven crimes in Bognor? A bulletin from Sussex Police called for information on the incidents and also outlined offences for which numerous arrests have been made. • Cawley Road, Chichester – On Monday March 11 a property was broken into, nothing reported stolen but damage caused to the door. Point of entry was via the neighbouring unit which had also been broken into. Serial 1086 of 11/03. • Clay Lane, Chichester – Overnight on Saturday March 9 a unit was broken into and a electrical cabling stolen. • Hillside, West Dean – Overnight on Tuesday March 12 a property a workshop was entered and a quantity of tools stolen. Serial 0264 of 13/03. • Lavant Road, Chichester –Overnight on Wednesday March 13 a building site was broken into and a large quantity of tools stolen. A porta cabin was also broken into and a Whacker Neuson with 120 Gx motor was stolen. Serial 0213 of 14/03. • Drayton Lane, Drayton – Overnight on Friday March 15 a workshop was broken into and hand-tools and a chainsaw stolen. A shed was also broken into and gardening tools were stolen. Serial 0324 of 16/03. • Hubble Close, Selsey – On Friday March 15 during the morning an insecure vehicle was entered and a purse stolen. Serial 0598 of 15/03. • Cakeham Road, West Wittering – Overnight on Wednesday March 15 both front and rear number plates were stolen from a vehicle. Serial 0124 of 16/03. Anyone with any information should contact Sussex Police on 101 or though the website here.